Awesome as usual, greeted with a smile and a friendly hello. Hygienist was wonderful. Thanks! I can't say enough about how much I love this office. The staff treats you like family and makes my kids feel safe when they come for appointments. I won't go anywhere else for dental work. Thank you again, Noblet dental, for taking care of us! I love all the staff, they always treated me like family member, great job, i was in really bad infection 5 years ago & they did a great job with me. I have no enough thank words to say, they are the best in everything. Having a healthy, bright smile can be the key to improving both your confidence and your overall health. Located in Mobile, Alabama, Dr. Richard Noblet, his son Dr. Chad Noblet and their staff of trained oral health professionals will work with you to create and maintain the beautiful shining smile you deserve. Whether you’re visiting Noblet Family Dental for a routine six-month appointment or for a cosmetic dentistry procedure, you will be treated with the professionalism and care that you expect. 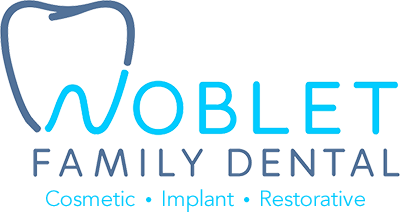 For more information about Noblet Family Dental and our services, please contact us today! Periodontal disease is a serious infection in the gums that will begin below your gum line. If it is left untreated, gum disease can worsen quickly. When considering your options it is important to consult your dentist to make sure you have all the facts and understand how they may affect your teeth and mouth. We truly believe that good dental health starts early. Children need to learn the proper way to care for their teeth even at a young age. If you have any questions or would like to set up an appointment, feel free to contact us today at (251) 342-5323.